Hey, remember way back into last month? Back when America’s love affair with Slumdog Millionaire was in full swing and Jessica Simpson was on all the tabloids for gaining weight? In case those days have been lost for you in the sands of time, here’s an interesting tidbit: America saw the inauguration of its first African-American president during that month. So, I’m going to be taking a look through the year to come in music (and in some cases, the year that has been). Just a brief paragraph or two on releases that the music connoisseur should hear. So, let’s talk last month, eh? 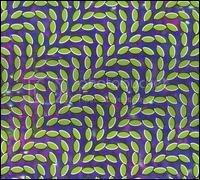 Outside of TV On The Radio, I’m not sure there’s a band that the internet loves to love more than Animal Collective. While the internet buzz surrounding this album is hyperbolic to the extreme, it is Animal Collective’s best album by no small measure. The first cut off the album, “In The Flowers”, is one of the best tracks the band has ever released. Track after track reflects the fact that the group has matured past their previous efforts, which were occasionally sloppy and filled with noise for its own sake. 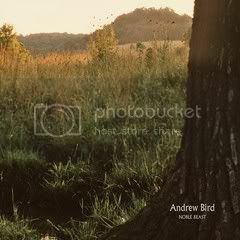 By contrast, the song structure on this album is tighter and the tracks feel influenced, but not overwhelmed, by the mellow sounds that group member Panda Bear used in this 2007 release, Person Pitch. 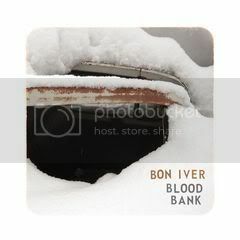 It’s considered an early front-runner for album of the year, which is a ludicrous thing to say this early into 2009. However, there’s no doubt that this is a very good album, filled with strong electronic beats that don’t feel cold and stronger lyrics than would be required to support the band’s sound. It is the must-own album of the year to date. Ok, I’m in for it now. I have a confession to make. I don’t unreservedly love The New Pornographers. Some of their stuff does it for me, some of it doesn’t. But, the Pornographer’s frontman, Carl Newman, does release great stuff under his solo recording name, A.C. Newman. He drops the meticulous, complex production of the Pornographer’s for a looser, more rock influenced sound, while maintaining the same incredible ability to write catchy song after catchy song. This won’t get half the hype that Animal Collective does, but that’s no reflection on quality. If anything, Newman gets ignored because of his accessibility. 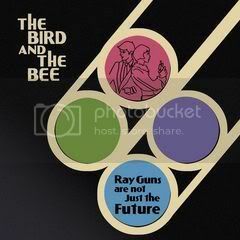 This is an album that everyone can and should love. Antony is a strange guy with an even stranger voice. If ever there were an artist who could be considered an acquired taste, this is probably the one. Antony Hegarty’s high-pitched warble is delicate, beautiful, and somewhat unnerving. 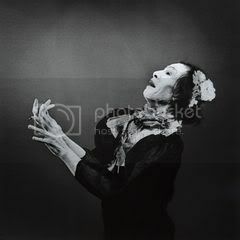 But, the simple fact of the matter is that, no matter what he’s doing, whether it be Antony and the Johnsons’ gorgeous torch songs or the electronic funk of Hercules and Love Affair, Antony always releases something great. The major evolution on The Crying Light is the beginning of a real beat underneath Antony’s vocals. By taking his music ever so slightly uptemp, Antony sacrifices a little bit of the beauty of his songs, but improves the general listenability of his music. It’s an Andrew Bird album. If you’ve heard the man before, you know what you’re getting. I prefer his earlier, slightly weirder stuff. I don’t know how to describe the disconnect. There’s not anything wrong with this album, but I have no desire to dig into it and look for greatness. Maybe it’s because I kind of think Jens Lekman came in, took Andrew Bird’s schtick, and did it better. For whatever it’s worth, I’m probably wrong to be so dismissive of a clearly solid album. The LaLa track below is excellent. I haven’t really even listened to it. Doing so now. It’s probably good, since his last album was one of the best of 2008. Edit: Yup, it’s good. It’s not bad. It’s cheery and it’s retro and it’s effortlessly listenable. What it brings to the table in charm and style, it loses through lack of humanity. It has the cold, mechanical feeling of an electronic dance record, which is difficult to achieve when you’re working on a generally twee record. Very solid track below, but it still doesn’t feel “alive”. The most impressive aspect of Bruce Springsteen’s career is that he has navigated a road filled with the now-irrelevant careers of many of his former contemporaries. Springsteen, for whatever reason, has never lost his sense of urgency or the ability to sound current. 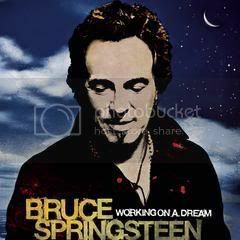 While my initial impression of this album suggests that it doesn’t have a single home-run on it that matches up to Magic’s “Radio Nowhere”, it certainly continues Springsteen’s post- The Rising career resurgence. 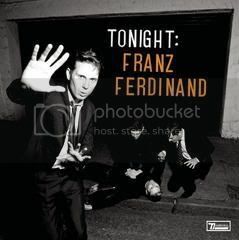 I know, I know…I’d be inclined to ignore Franz Ferdinand, too. In fact, I have yet to hear this album. That aside, it’s getting some awfully good reviews, which suggests that there might be something to it. I guess that puts it on my queue. Also of note are two new Of Montreal EPs, which I am ignoring for no particular reason. 2008 didn’t have a month nearly this strong, so to kick off a year like this is about as promising as things can get. Particularly with some of the heavy-hitters to come. LD, this is AWESOME. I was hoping to get something exactly like this. First of all, this is an amazing post. Second of all, this is an amazing analysis: I haven’t really even listened to it. Doing so now. It’s probably good, since his last album was one of the best of 2008. Edit: Yup, it’s good. Rolling Stone WISHES it had such comprehensive music coverage! 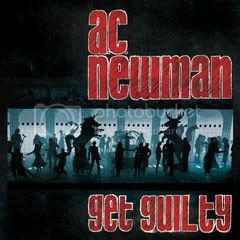 Third of all, I just got the AC Newman album, will let you know howz I feelz about it. I need to spend so much money on music this weekend that it’s not even funny.